Several years ago, when we first added some aftermarket AC receptacles and power cords to our mix, I'll admit I was pretty skeptical. I just didn't believe those products could affect the performance of audio/video gear. Boy, was I wrong! After upgrading the cords and wall outlets, my system sounded cleaner and more focused overall, with tighter bass. And the picture from my projector had deeper blacks. When you think about it, an AC wall outlet is the interface between your entertainment gear and your home's AC power system. AudioQuest's NRG Edison 15 is an audiophile-grade AC power receptacle that uses superior design and metallurgy to help your components perform at their best. The AC wall outlets in virtually all homes are poorly built, using stamped steel or low-grade brass, and they tend to corrode easily. AQ's NRG Edison 15 features polished high-tension surfaces with Hanging-Silver plating, ensuring the lowest distortion of any plated or clad material. Signal-masking radio frequency noise is efficiently transferred toward your utilities transformer and ground — far from your sensitive components. 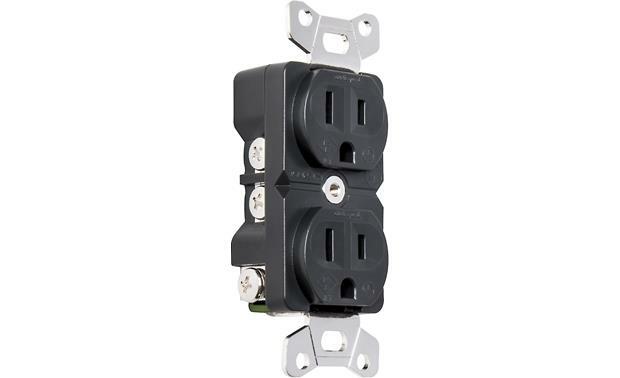 Compared to standard AC receptacles, the NRG Edison has significantly greater metal mass and grip for optimum current delivery. This includes the receptacles' retention blades, as well as the critical ground, wire, and spade lug connections. No other AC outlet can boast such low impedance for optimum current delivery. Even the base metal of the NRG Edison is top notch. The beryllium-copper base metal provides superior spring tension and long-lasting, low-impedance AC power connections. Typical materials, like brass, simply can't match the unparalleled retention strength of high-mass beryllium-copper. Note: AC power is potentially hazardous and lethal if electrical shock occurs! 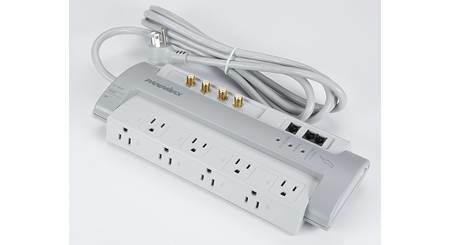 Please leave all installation of AC wiring and installation of the AudioQuest NRG Edison 15 AC outlet to a qualified licensed electrician. 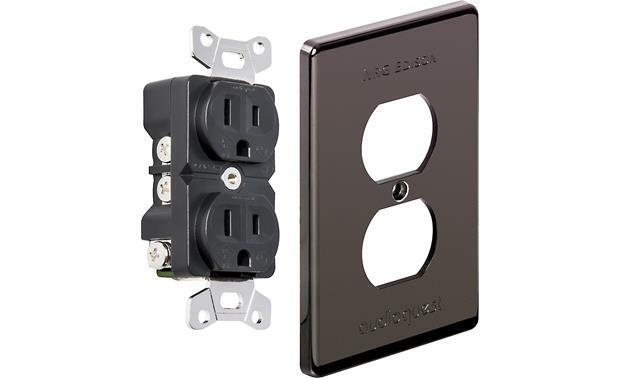 120V/15A AC Duplex Outlet: The AudioQuest NRG Edison 15 is a 120V/15A duplex outlet featuring two 3-prong AC outlets and comes with a black wall-decor plate. Polished High-Tension Surface with Hanging-Sliver Plating: Polished high-tension surface with hanging-sliver plating ensures the lowest distortion of any plated or clad material. Signal-masking radio frequency noise is efficiently transferred toward your utilities transformer and Earth ground far from your sensitive components. Significantly Greater Metal Mass and Grip For Optimum Current Delivery: Significantly greater metal mass and grip for optimum Current delivery is included in the receptacles' retention blades, as well as the critical ground, wire, and spade lug connections. No other AC outlet can boast such low impedance for optimum current delivery. Beryllium-Copper Base Metal: Beryllium-Copper base metal provides superior spring tension and long-lasting, low-impedance AC power connections. Typical materials such as brass, or even high-purity copper aided by spring and wedge devices, simply cannot equal the unparalleled retention strength of high-mass beryllium-copper. 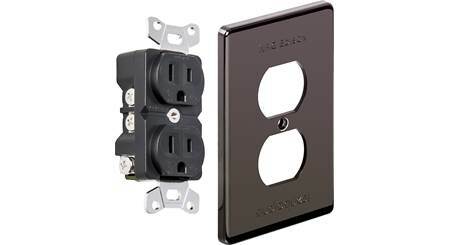 Wiring & Installation: The AudioQuest NRG Edison 15 AC duplex outlet is intended for single phase AC branch circuits ranging from 100 to 127 volts AC, with either a 50 or 60 Hertz sine wave frequency. 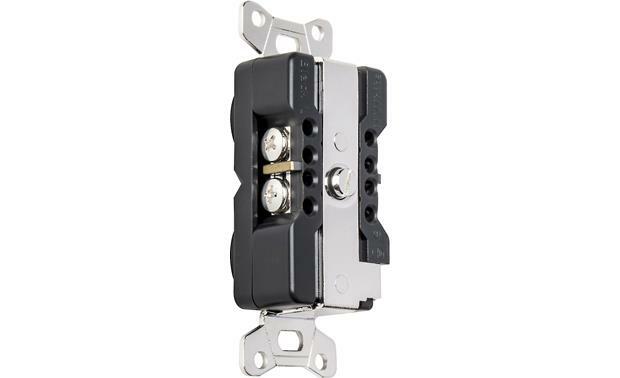 If the branch circuit uses a 15 amp circuit breaker, it is appropriate to employ the NRG Edison 15. 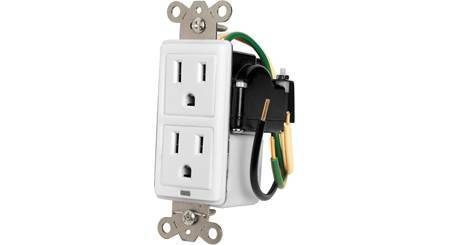 This AC outlet can accommodate 8, 10, or 12 AWG wiring. Note: AC power is potentially hazardous and lethal if electrical shock occurs! Installation of AC wiring and installation of the AudioQuest NRG 15 AC duplex outlet should be performed by a qualified licensed electrician. Very Tight Grip: The NRG Edison 15's two outlets will be very tight compared with any other AC outlet, even hospital-grade outlets. This clamping strength is necessary to ensure optimum performance and the lowest possible impedance. 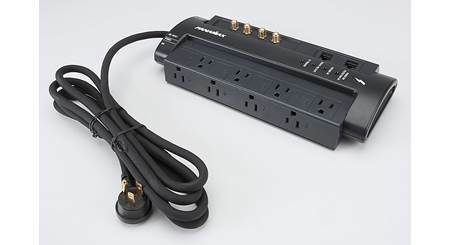 Searches related to the AudioQuest NRG Edison 15 High-performance 15-amp AC wall outlet.